If you can't beat 'em, join 'em. 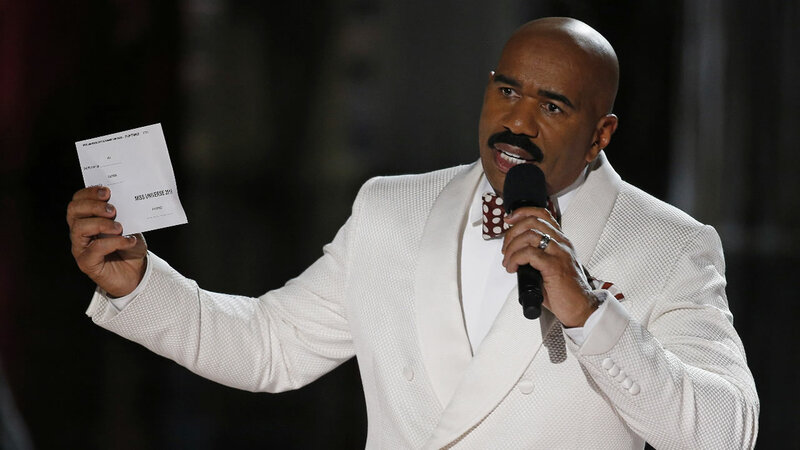 On Christmas, less than a week after mistakenly announcing that Miss Colombia had won Miss Universe, Steve Harvey tweeted "Merry Easter, y'all" to his followers. At least we all know that Harvey can laugh at his mistakes. Pia Alonzo Wurztbach of the Philippines was the real winner, while Ariadna Gutierrez-Arevalo of Colombia was the first runner-up. Harvey's mistake made for a few awkward minutes of television, which went viral immediately.